My Next Puppy, a puppy and dog store based in Chantilly, VA offers some surprising insights about French Bulldogs. In the company's new blog post, people can read about one of the most popular dog breeds in the world, through the link https://mynextpuppy.com/french-bulldogs-info. In 2017, French Bulldogs were the third most popular dog breed in Australia according to the Australian National Kennel Council. In 2015, they were ranked the fourth and sixth most popular in the United Kingdom and the United States, respectively. The ranking was made by the Kennel Club UK and The American Kennel Club. As one of the more sought after breeds in the canine world, it is understandable that a lot of dog lovers are looking for information about French Bulldogs. And My Next Puppy offers essential knowledge about the dog breed in their website. Information such as the breed's origin (it's not France, surprisingly), safe handling during travel, and proper care during reproduction can be found in My Next Puppy's blog post. These are important information for prospective and current owners of the breed. Just like other special breeds, the dogs need proper care and nutrition in order to grow up healthy and strong, and live a long and productive life with their owners. 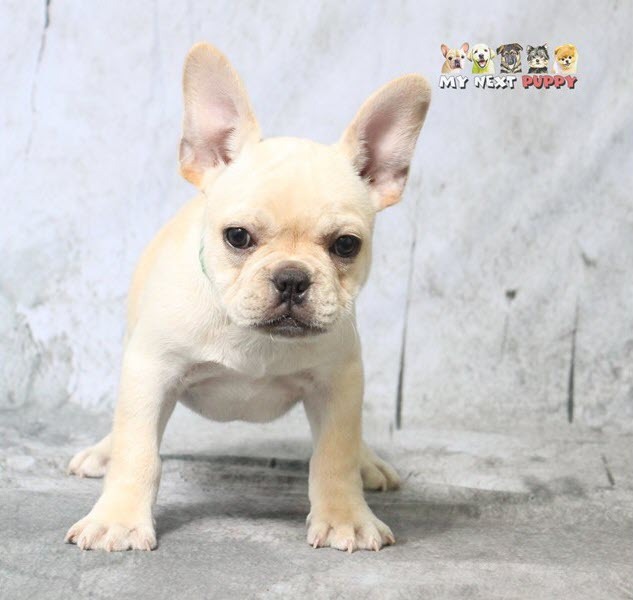 Some relevant FAQs about French Bulldogs can also be found in https://mynextpuppy.com/qa-french-bulldog. The blog post serves as a quick guide for people interested about the breed. This is all part of My Next Puppy's mission to bring the love of puppies and great services to more people. In line with the company's mission, My Next Puppy offers the most professional and friendly pet services in the community of Chantilly. The pet company partners with breeders in making sure the puppies are born and reared in high standard housing and processes. “We only work with breeders of good reputations and of the highest standards. We know the industry is beset with negative perception about pet stores and pet mills. My Next Puppy is here to dispel that bad image and replace it with a friendly and professional face,” according to a company representative. My Next Puppy is a family-owned and operated business. As such, it also works closely with family owners and extends exceptional service so both puppies and their new homes are in good spirits. Per the company representative, “We are here to match our puppies with the right families to better serve both puppies and humans. Puppies deserve people and people deserve the love of puppies.” Aside from forming close ties with their customers, the company also aims to empower their employees. “My Next Puppy is only as strong as it foundation, we take pride in empowering our employees and our customers,” the representative added. Aside from French Bulldogs, the company offers an extensive array of dog breeds. Dog lovers can read about other dog breeds here https://goo.gl/posts/khrba. Based on glowing reviews from the customers, those interested can see how varied the puppy offerings are. From Tamara M. who got a Cavalier King Charles toy dog spaniel, “They were very thorough in answering our questions and helping us with our purchase. We are very excited about bringing the little guy home.” She gave My Next Puppy 4 stars out of 5. Another satisfied customer Salvador A. who got a chihuahua, explains, “We came into the store just to look. Great customer service, we went home with a chihuahua.” He gave the company 5 stars for its excellent customer service. To help customers choose the right dog breed, the company offers free consultations with designated Pet Counselors. Choosing the right breed is important and is largely dependent on the owner's lifestyle and needs. An appointment with a counselor can be scheduled through the company's website in the Puppy Finder section. For any inquiries and concerns about owning and caring for their pets, dog lovers are encouraged to visit the company website and their main dog haven in Chantilly, VA. Current owners of dogs and for those interested to get one are most welcome.